We tried an even more extreme-sized diffuser, which again increased the downforce, but only by a very small amount. There is something strange going on in the model. We will have to analyze the flow field and model carefully. 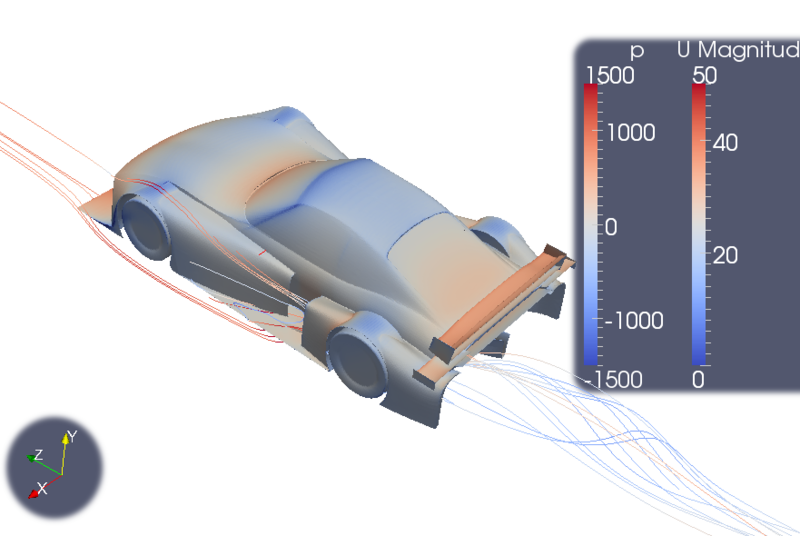 The opening angle and the area ratios of the diffuser seem to be much larger than should be possible based on public knowledge. The flow "should" separate from the surface of the diffuser at much smaller values so it's a bit unclear how good our aero kit actually is. We are especially going to investigate the mesh and turbulence parameters.